Here is a video from 2014 set to the “Island Song” by the Zac Brown Band. Enjoy the crystal clear water, gorgeous beaches and sunsets and a bunch of happy kids on a boat. I couldn’t decide between these two videos, so I will add both of them. The first shows the island and the Christmas Stroll event. The second is a beautifully created video of the Christmas lights and decorations on the island set to John Williams’ music from the ‘Home Alone’ movie. The fire knife, or siva afi dance is fascinating to watch. The fire knife was originally a machete wrapped in towels on both ends. The fire was first added in 1946, when a Samoan knife dancer saw a fire eater and a dancer with lighted batons while performing in San Francisco. I must admit I have no idea what this is exactly other than that there are some great scenes with people dancing in vats of grapes, enjoying traditional food and enjoying the beauty and variety of the many attractions of Cyprus. It is a bit dated, but fun to watch. Here are two videos highlighting the culture and sights of the Sea Islands. The first is about the Gullah/Geechee. There are some interesting interviews, old photographs and some lovely shots of this beautiful part of the world. The second video shows the beauty of the islands in the Beaufort, South Carolina area. I chose the following two videos to finish up my posts on the Islands of Estonia. The first is a beautiful time lapse video of Saaremaa and the northern lights. The second features Pädaste Manor, where I had a memorable stay, with some gorgeous shots of Muhu island. I have also added an additional Pädaste Manor video to my food post, which focuses more on Alexander Restaurant, located at the manor. In 2015, the small island country of Malta was host of the Commonwealth Heads of Government Meeting (CHOGM). This is a biennial summit of the heads of government of all the nations that belong to the Commonwealth of Nations (formerly the British Commonwealth), of which Queen Elizabeth II is head. After missing the 2013 meeting, Queen Elizabeth was present in Malta in 2015. This music video, which contains some beautiful footage of Malta, was made to commemorate the occasion. Vancouver Island has no shortage of music and arts festivals. There are as many as 17 festivals each year in Victoria and around the island. Vancouver Island also has plenty of homegrown talent. World famous musician, producer and songwriter David Foster hails from Victoria, while jazz pianist and singer Diana Krall is a native of Nanaimo. Singer-songwriter Nelly Furtado is also from Victoria. Every year in the summer, the Vancouver Island MusicFest comes to the Comox Valley Fairgrounds near Courtenay. The 2017 festival dates are July 14-16 and the lineup for this summer includes artists Emmylou Harris, Rita Coolidge and an extensive list of pop, country, Canadian and global artists. The Victoria Jazz Festival has been taking place in Victoria for over 30 years now. Sponsored by the Victoria Jazz Society, this season’s festival features artists Mavis Staples and Ziggy Marley. 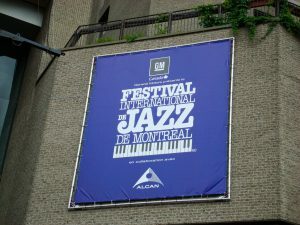 The dates for this year’s festival are June 23-July2. 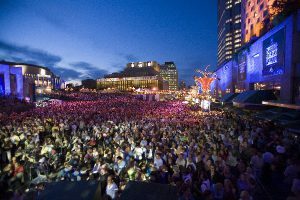 Other festivals include a Blues Bash at the Inner Harbour, a Skafest, and International Buskers Festival that draws performers from around the globe, a Fol Festival, Country Music Festival and a Fringe Theatre Festival. On Aug. 6, 2017, the 28th annual Symphony Splash, featuring the Victoria Symphony will take place on a floating stage complete with fireworks. Click on the clips below to see Victoria natives Quinn and Qristina Bachand at the 2016 Vancouver Island MusicFest, and a stunning video showing Vancouver Island’s many attractions. The following video features Malagasy singer/songwriter Erick Manana. Born and raised in Madagascar, Manana’s music is influenced by a style prominent in the Madagascar highlands in the 1930’s, called ba-gasy. He recorded his first solo album in 1990 and has had much success both as a solo artist and with Madagascar groups and artists such as the ‘Malagasy All Stars’. Roots Magazine has called him the “Bob Dylan of Madagascar”. He has received many distinguished awards and currently lives in Bordeaux, France. And here’s a fun video with a catchy song and lots of people jumping into the blue Bermuda water. The Danes have consistently rated high on the world ‘happiness’ index. The following clips, well- mainly the 2nd and third, will show you a bit of Danish humor. The song is Wonderful Wonderful Copenhagen from the movie Hans Christian Andersen. Enjoy!! The music of Singapore encompasses a wide array of traditions and cultures. The Chinese, Malay and Indian cultures have all contributed to the folk music traditions of this diverse island community, and there is much to explore. As a result of Singapore’s nation building agenda, an interesting and wonderful music tradition was started in the 1980’s. The National Day Songs are now a yearly tradition in which a song is chosen as the theme for the National Day Parade and festivities held on August 9th. Some songs are new and contemporary, while others reflect older traditions. The clip I have chosen is from 2015 and has some very interesting footage depicting the building of this island nation, and features beautiful imagery of Singapore, old and new. There are a couple of annual events which celebrate Isle of Man’s music and culture. The Manx Music, Speech and Dance Festival, held every year in April, is a festival and competition that encompasses and celebrates a wide array of Manx performance disciplines with contestants of all ages competing for prizes, including the top prize-The Cleveland, Ohio Manx Society Gold Medal, which is provided annually. The next festival is scheduled to take place from April 21-29, 2017. Yn Chruinnaght (The Gathering) is an inter-Celtic festival celebrating the music and culture of all the Celtic lands which takes place on the Isle of Man. The 2016 festival was recently held from July 13-17 in Peel. Click on the videos below for some music performed by the Manx group Barrule. The first is a song about Manannan, whose legendary cloak of mist protects the island. The second is a promo video about this amazing group and includes some nice scenery as well as some music and background information about the group. Click on the video below to hear a sample of Tumba, a popular style of music in Curaçao and the ABC Islands. Each year in January, Tumba artists compete for the title of Tumba King or Queen. Their song is then declared the official anthem during Carnival. Carnival in Curaçao is one of the most exciting in the Caribbean. The parades, costumes, beauty contests and music make it a great time to visit the island. Lenny Kravitz, Charlie Wilson, Burt Bacharach, Michael Bolton, the Branford Marsalis Quartet with special guest Kurt Elling, Tom Jones, Level 42 and others. Click below to see the 2016 promotional video. The clip below is from the Quebecois group Les Charbonniers de l’enfer (The Coalmen of Hell). They are an a cappella folk group specializing in both contemporary and traditional Quebecois repertoire. The only instruments are their feet. I find this song, Le vent nous portera (The Wind Will Carry Us) quite fascinating. The video below is a wrap up of the 2015 festival.